Enhance your experience at O’Reels casino right away! Log into your account and deposit at least £10. 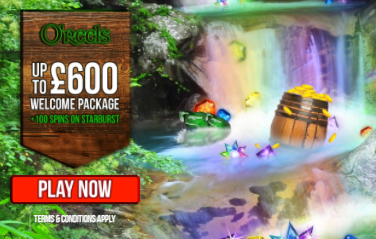 You will get a 100% bonus up to £200 plus 25 Bonus Spins. The additional rounds are valid only on Starburst. Only existing British customers are eligible for this bonus. Play through the bonus amount 50 times before making any withdrawals. Hurry up and benefit from this tailor-made deal!